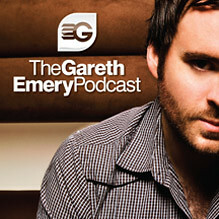 New Gareth Emery Podcast today! I haven't listened to it entirely yet because it is 5 hours long! I figure I should at least get it up so others can enjoy it. I'm always happy with what Gareth provides and so far is quite enjoyable. N-JOY! The track list will be released on March 23rd. I will be sure to edit this post and put it in here at that time. FIVE hours?! Ah, it's an hour for every year of the podcast. Nice. Quite an undertaking. Might give it a listen next time I'll be sitting here for an extended period of time. Wow. I can barely get through the other ones. 5 hours is just too much goodness in one sitting. I'll try to take it in bits. Ahah as always, Gareth Emery one of my favorites. Thanks for sharing! this is good, i have a lot of work.. and i gotta listen to somethin nice :) thanks! I will have to listen to this at work tomorrow, but I can't wait because all of your other stuff has been really good! This is great, but 5 hours?! ugh..
Good background music right here!! quite the long listen, I'll have to tackle it in parts. lol. I started it, but I'll have to finish it up later tonight. I'll be on the night shift so this will help pas time. I'll have to listen to it when I have 5 extra hours. Wow 5 hours, I don't believe I'll be able to listen to all of that, but the beginning sounds crazy. Gonna have to come back a few times for this! Cool! Now I have something for my morning commute!! keep the blog coming! always checking back in. great music! Awesome man! Love the music! five hours? that is insane!!! I don't think I have the time to listen to this I'm afraid. YES! ANOTHER BLOG I ACTUALLY LIKE. This is why I am blogging, honestly i need more electronic music. I always will. i made a mix just around 30 minutes of some more dark/minimal/ but definitely non boring dance music. i thought you'd might wanna check it out!